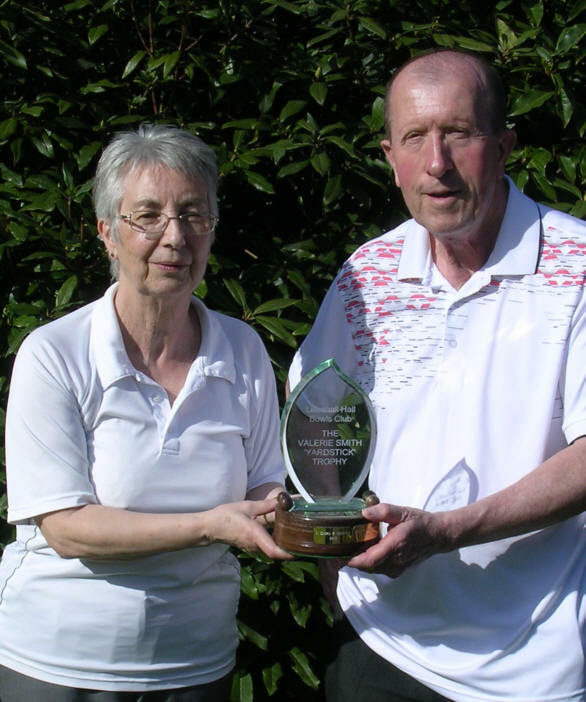 Sixteen members enjoyed a glorious sunny afternoon competing for the first of the Club's one-day competitions - the Valerie Smith Memorial Yardstick Trophy. 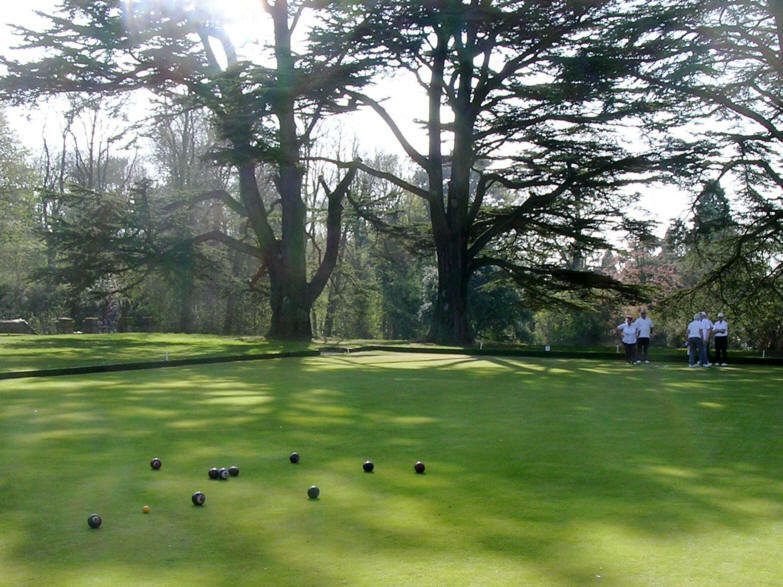 The game consisted of five rounds of four ends, with each bowler playing two bowls per end. With some players just coming out of a non-playing winter, and others transitioning from indoor pay, it took several ends to get used to the pace of the green. 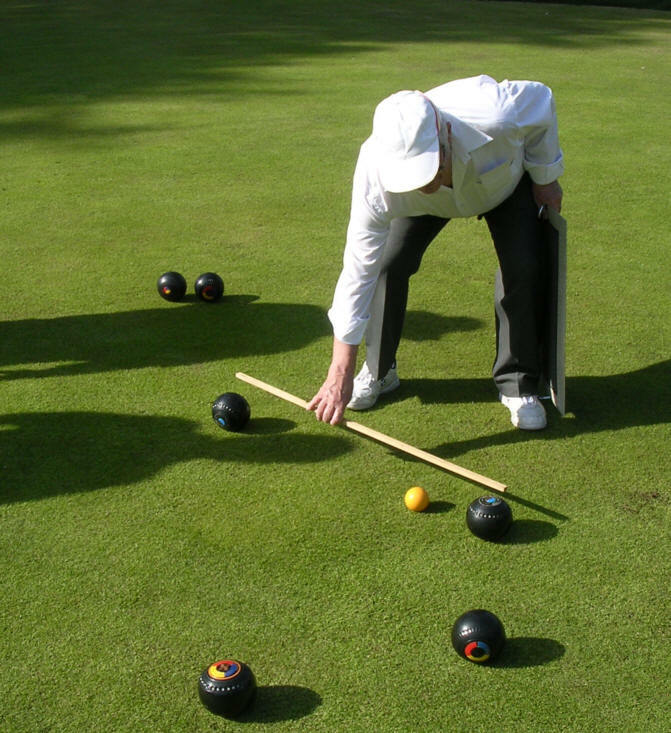 A total of forty points was theoretically possible, by getting every one of your bowls within one yard of the jack, but with of-centre jacks and the odd running bowl even the best only managed about half that! Top lady was our 2018 ladies champion Liz Caird and top gentleman was Mike Hubbard, both scoring 19 shots (previous winners).